Use before or after exercise to repair, strengthen and build muscle tissue. Convenient format for fortifying breakfast and lunch meals to achieve a higher protein intake during the day. The versatility of 100%Whey means you can use it mixed with other foods, incorporated into recipes or on its own as a shake. May be useful for recovery from illness or injury particularly if tissue damage, muscle wasting and/or loss of body mass are involved. Ultrafiltered Whey Protein Concentrate (97%), Flavours, Thickeners (466, 415), Artificial Sweetener (955). Everyone benefits from a regular protein intake and those involved in moderate to high intensity exercise often have increased protein requirements. Whey protein concentrates are recognised as a superior source of easily digested protein that are naturally complete (containing all the essential amino acids) and highly bioavailable. Quality, high-protein low-carb support for active bodies. 75% Protein. BEST FOR: the ideal nutrition partner for sports people and gym goers needing to support exercise and recovery, or simply active people needing to meet their body’s daily protein requirements, manage weight or satisfy appetite – particularly those on higher protein, lower carbohydrate eating plans. 100%Whey’s formulation is naturally rich in branch chain amino acids – the key amino acids that fuel muscle growth and repair. Delivering 20g of protein per serve, 100%Whey is a super convenient and concentrated way to trigger the key metabolic processes involved with muscle tissue repair and growth, as well as keeping you full and satisfied. FLAVOURS: Chocolate, Vanilla and Choco-nana, and a 700g (26 serve) tub in Chocolate. This comes down to your body type/size/weight, and your activity level - along with your intended goal that you're aiming for. For sedentary adults (those that do little or no exercise) the Recommended Dietary Intake (RDI) of 0.8g of protein per kilogram (kg) of body weight is sufficient to maintain muscle mass. Protein needs increase depending on the duration and intensity of exercise. For example an endurance athlete's requirements may range from 1.2g to 1.4g per kg of body weight. Very active people, strength athletes and those doing resistance training need approximately 1.7-1.8g of protein per kg of body weight. An 80kg male would require 136 grams (80 x 1.7 = 136) of protein daily to maintain existing muscle and achieve further muscle growth. Horleys do not recommend protein intakes of higher than 2g/kg body weight. It's not so much that intakes above this are dangerous for normal individuals, but rather your body is unable to effectively utilise more than this so you're wasting your time and money. Can a man use Sculpt? Whilst formulated with a woman's needs in mind, Sculpt won’t cause your average guy any harm at all! 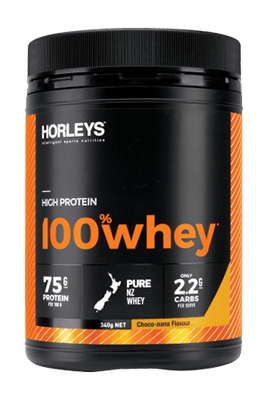 However, there are other supplements in the Horleys range he might like to consider, such as Elite Ripped or 100% Whey Plus.